Designed with the excavator, flatwork contractor, or landscaper in mind, this horizontal-only rotary features a wide dual-slope range of 8°. One of our easiest to operate and quickest leveling rotaries, you'll be up and running in no time with the 40-6541 laser. 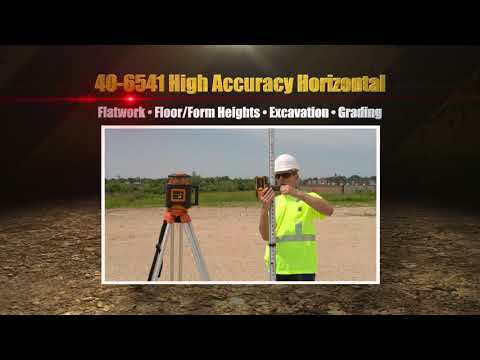 High-accuracy horizontal work including excavation, flatwork, landscaping, masonry, and form, post, and footing heights. Indoors use for drop ceilings, beams, and more!